Have you or a loved one been the victim of a hit and run in San Diego? If so, it’s important to contact an attorney. You may be entitled to compensation. However, due to the nature of laws pertaining to hit and runs in San Diego, you need to consult with a professional to better understand if you should file a lawsuit. Our experts at the Jorgensen Law will review your case and let you know what steps to take next. According to California law, drivers involved in auto accidents must stop and exchange information with the other parties involved. Unfortunately, this doesn’t always happen. It’s not uncommon for drivers in this state to flee the scene of an accident in order to avoid being held responsible for someone else’s hit and run injury. That doesn’t mean you can’t be compensated for your injuries. It’s still possible to investigate the case and determine who was involved, even if they left the scene of the accident. That said, you can’t do this on your own. You need professional assistance from both law enforcement and qualified attorneys in order to learn the identity of another driver. That’s why it’s important to contact certain types of individuals and agencies after your accident. If you’ve been involved in a hit and run accident, knowing what to do next is important. Obviously, the first step should be to make sure you and any other occupants of the vehicle are safe and clear of harm’s way. Call an ambulance to address any injuries sustained, and do your best to safely move away from traffic. However, you should not try to operate the vehicle if you believe it is not safe to do so. It’s also important to call the police in order to make sure an objective party is on hand to help you document the incident. This can help you later when working with attorneys to build a case. When speaking with the police, strive to provide as much accurate detail as possible about the other vehicle involved in the accident. 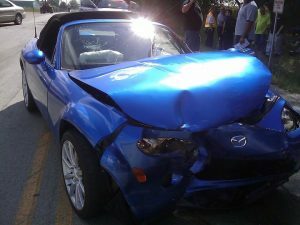 Although you may understandably be somewhat confused and frightened in the aftermath of an auto accident, it helps if you can remember the make, model, license plate number, and color of the vehicle, along with any other relevant details you may recall. Additionally, you should take pictures of the scene. The more documentation you have, the easier it is to determine who was responsible for your injury and to what degree they are responsible. Of course, it’s also important to get in touch with your insurance provider as well. After you’ve done so, get in touch with a lawyer right away. It’s worth noting that you may still be entitled to compensation even if a driver who caused your injuries obeyed the law and remained at the scene to provide you with all necessary information. That said, a hit and run accident is strictly an incident in which the other driver left the scene before you had a chance to learn their identity. Contacting an attorney is particularly important in these cases. The information you provided the police with helps them investigate the incident and potentially determine who the other driver was. Attorneys will follow-up with police regularly to make sure you’re up-to-date on the status of the investigation. They’re also equipped to conduct their own investigations, improving your odds of finding the person responsible. It’s important to understand that California law imposes a deadline for filing a lawsuit when you’ve been involved in a hit and run accident. If you don’t file your lawsuit by the deadline, you won’t be able to pursue damages. That’s why you need to contact a hit and run attorney fast. When preparing for your initial consultation, it’s smart to gather all relevant information you have access to, including photos, police reports, documentation of your injury, insurance policies, evidence of financial losses, and a narrative in which you describe your memory of the incident. Be sure to include as much detail as you can recall. You’ll have a more advantageous discussion with a hit and run attorney if you prepare thoroughly. 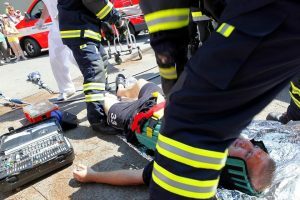 The aftermath of a hit and run accident is often a difficult time. You may be forced to pay expensive medical bills while dealing with the physical and emotional toll of recovering from an injury. Hiring a hit and run lawyer to help you pursue compensation makes the experience easier. Although they can’t change what has already happened, they can make sure you get fair representation. If you’ve been involved in this type of accident, get in touch with our team at the Jorgensen Law today. A qualified hit and run lawyer will review your case. If we decide to represent you, we’ll make sure we take all the necessary steps to secure the damages you deserve.